Where is it? : Big Swamp is on the Flinders Highway, 20km NE of Port Lincoln. 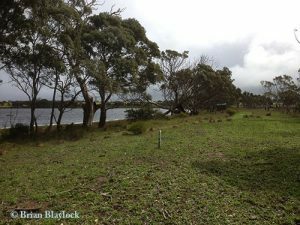 There is a bird hide which overlooks the central basin in a small area accessible to the public off the Flinders Highway where it crosses a causeway between the central and northern basins. Access to the bird hide is opposite McFarlane Road. 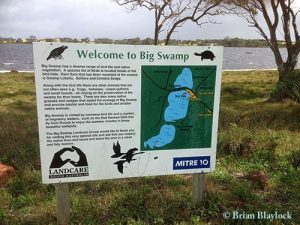 Habitat: Big Swamp has been identified as a wetland of National significance in the Directory of Important Wetlands in Australia (Australian Nature Conservancy Agency 1996). It is divided into three natural basins. The central basin is permanent, whilst the north and south basins are temporary.